MOSCOW (Sputnik) - Russia supports the Netherlands in its search for truth and justice regarding the MH17 Boeing crash in 2014, but the main reason for the tragedy was the fact that the airspace over the east of Ukraine was not closed, a source familiar with the situation, told Sputnik. "Russia supports the Netherlands in its commitment to the search for truth, justice and those responsible for the crash of MH17, But… one has to admit that at the moment the main responsible party is still the state that failed to close its airspace", the source said. According to the source, the justice could be guaranteed via "honest and impartial work of the Joint Investigation Team, which has to take into account all data that can help the probe, including the data that comes from the parties that are not part of the JIT". Meanwhile, the Russian Foreign Ministry said that the JIT allegations of Russia's links to the crash were groundless and regrettable, adding that the investigation was biased and one-sided. The Russian Defence Ministry, in turn, stated that all Russian missiles like the one, which, according to the Dutch investigative commission, downed the MH17 flight, had been decommissioned after 2011. The report on the investigation by the Dutch Safety Board, published in 2015, remarked that the risks to airplanes were serious enough to close airspace over eastern Ukraine, but the county's authorities did not consider full closure. The MH17 flight from Amsterdam to Kuala Lumpur crashed near the city of Donetsk on 17 July 2014. All 298 passengers and crew members were killed. 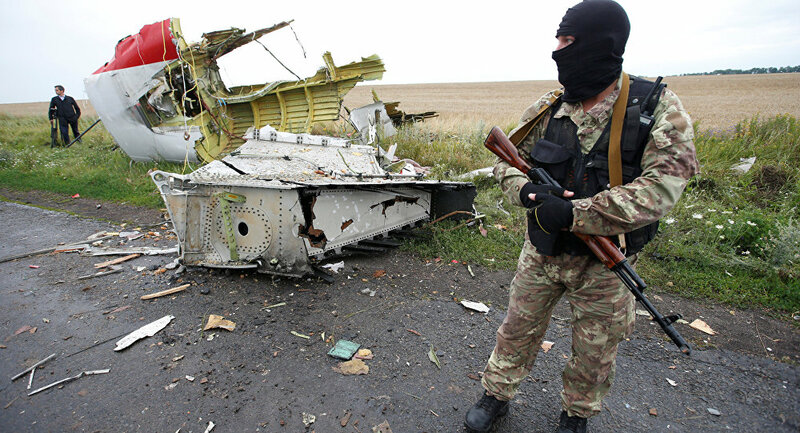 The interim conclusions presented by the Dutch-led international Joint Investigation Team (JIT), which does not include Russia, suggested that the plane had been downed by a Russian-made Buk missile originating with a military brigade stationed in the Russian city of Kursk.